The critically endangered Siberian white crane (Grus leucogeranus) is considered sacred to the people of Siberia's arctic tundra, but its numbers are rapidly declining. It makes the longest migrations of any crane species, up to 10,000 miles round trip, and habitat loss along its migration routes is a major cause of the crane's population crisis. Adult cranes' faces are bare of feathers and brick-red in color. Their plumage is white except for the primary wing feathers, which are black. Their long legs are a deep pink color. Males and females are identical in appearance except for the fact that males tend to be slightly larger in size and females tend to have shorter beaks. Juvenile cranes' faces are a dark red color, and the feathers of their heads and necks are a light rust color. Younger cranes have mottled brown and white plumage, and hatchlings are a solid brown color. Siberian cranes nest in wetlands of the lowland tundra and taiga. They are the most aquatic of the crane species, preferring open expanses of shallow, freshwater with clear visibility in all directions. There are two remaining populations of the Siberian crane. The larger eastern population breeds in northeastern Siberia and winters along the Yangtze River in China. The western population winters at a single site along the south coast of the Caspian Sea in Iran and breeds just south of the Ob River east of the Ural Mountains in Russia. A central population once nested in western Siberia and wintered in India. The last sighting in India was documented in 2002. The historic breeding area of the Siberian crane extended from the Ural Mountains south to the Ishim and Tobol rivers, and east to the Kolyma region. At their breeding grounds in spring, cranes will eat cranberries, rodents, fish, and insects. While on migration and at their wintering grounds, cranes will dig roots and tubers from wetlands. They are known to forage in deeper water than other cranes. Siberian Cranes migrate to the Arctic tundra to breed in late April and early May. Mated pairs engage in calling and posturing as a breeding display. Females usually lay two eggs in the first week of June, after snowmelt. Both parents incubate the eggs for about 29 days. Chicks fledge at about 75 days. It is common for only one chick to survive due to aggression between siblings. Agricultural development, wetland drainage, oil exploration, and water development projects have all contributed to the decline of the Siberian crane. 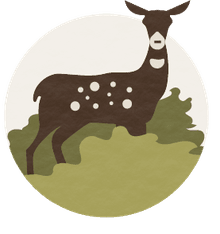 The western population in Pakistan and Afghanistan has been threatened by hunting more than the eastern, where the loss of wetland habitat has been more detrimental. Poisoning has killed cranes in China, and pesticides and pollution are known threats in India. The Siberian crane is critically endangered; the IUCN lists it as in rapid decline. The Siberian crane is legally protected throughout its range and is protected from international trade by its listing on Appendix I of the Convention on International Trade in Endangered Species (CITES). Eleven states in the crane's historic range (Afghanistan, Azerbaijan, China, India, Iran, Kazakhstan, Mongolia, Pakistan, Turkmenistan, Russia, and Uzbekistan) signed a Memorandum of Understanding under the Convention for Migratory Species in the early 1990s, and they develop conservation plans every three years. The United Nations Environment Program (UNEP) and the International Crane Foundation conducted the UNEP/GEF Siberian Crane Wetland Project from 2003 to 2009 to protect and manage a network of sites across Asia. Protected areas have been established at key sites and migratory stopovers in Russia, China, Pakistan, and India. Educational programs have been carried out in India, Pakistan, and Afghanistan. Three captive-breeding facilities have been set up and a number of releases have been made, with targeted efforts to reestablish the central population. From 1991 to 2010, 139 captive-bred birds were released at breeding grounds, migration stopovers, and wintering grounds. Russian scientists started the "Flight of Hope" project, using conservation techniques that have helped boost Whooping Crane populations in North America. 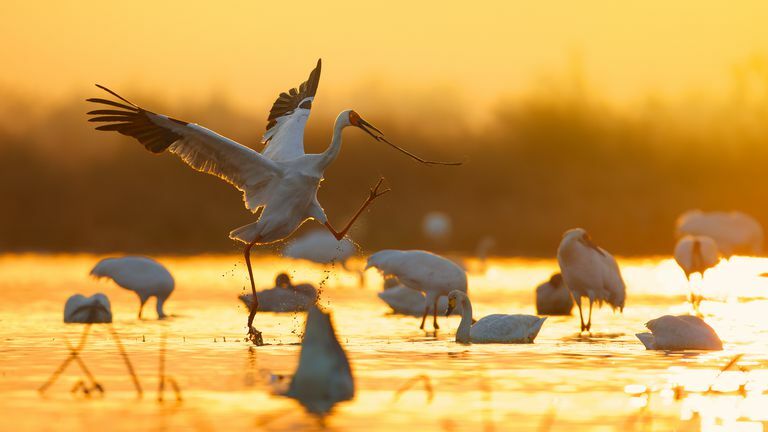 The Siberian Crane Wetland Project was a six-year effort to sustain the ecological integrity of a network of globally important wetlands in four key countries: China, Iran, Kazakhstan, and Russia. The Siberian Crane Flyway Coordination enhances communication among the large network of scientists, governmental agencies, biologists, private organizations, and citizens involved with Siberian Crane conservation. Since 2002, Dr. George Archibald has traveled yearly to Afghanistan and Pakistan to augment awareness programs that contribute to safer migrations for Siberian cranes. He also works with the United Arab Emirates to support migration corridor conservation in western Asia.